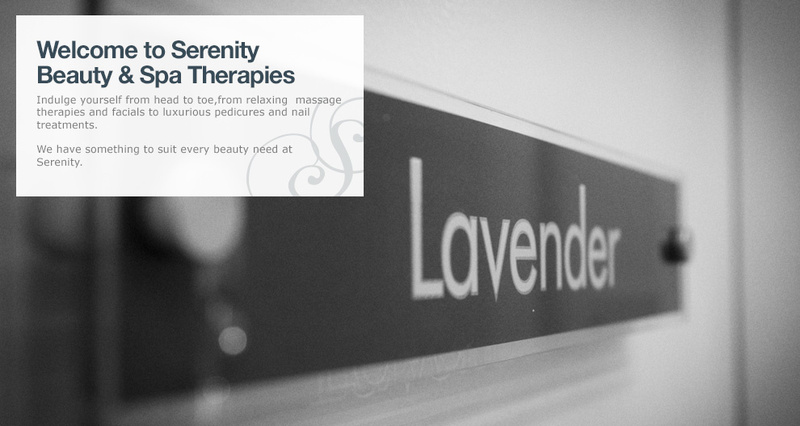 Unwind and relax in the world of Serenity and receive the very best beauty treatments using the most desired products the beauty industry has to offer. 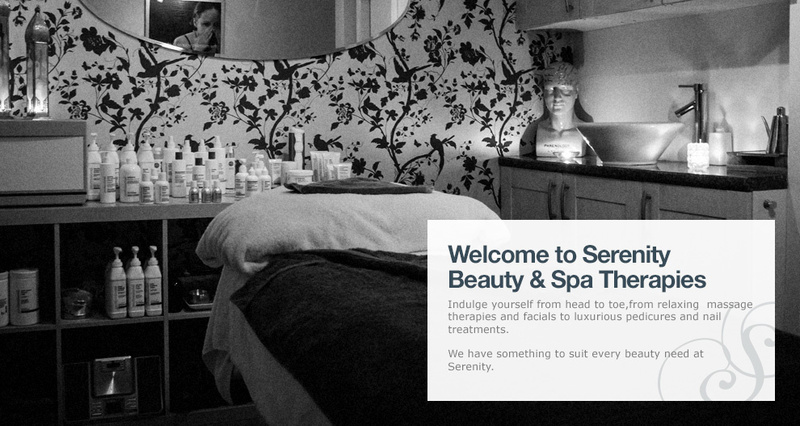 Our dedicated and experienced team of therapists are on hand to ensure you leave looking and feeling your best. We look forward to welcoming you to Serenity soon. 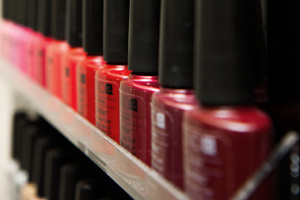 We only use the very best products the beauty industry has to offer. 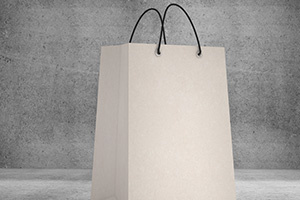 For further information about the product ranges we offer please contact us. Perfect as a gift or for pure self indulgence our day packages are designed to relax,revive and revitilise your mind and body. 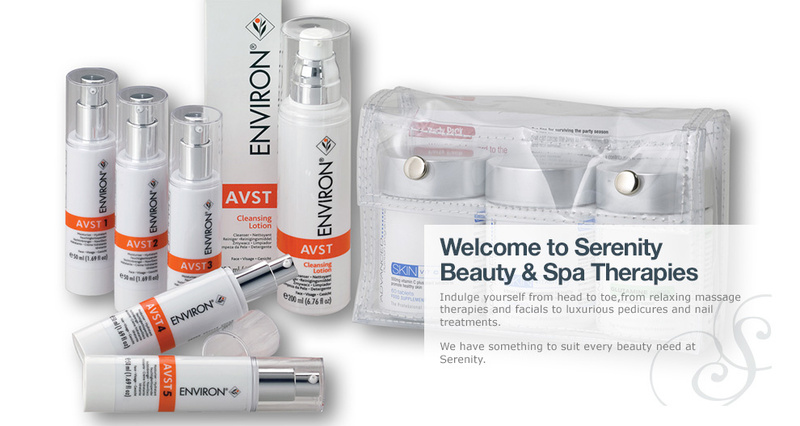 In addition to the vast array of treatments already available. 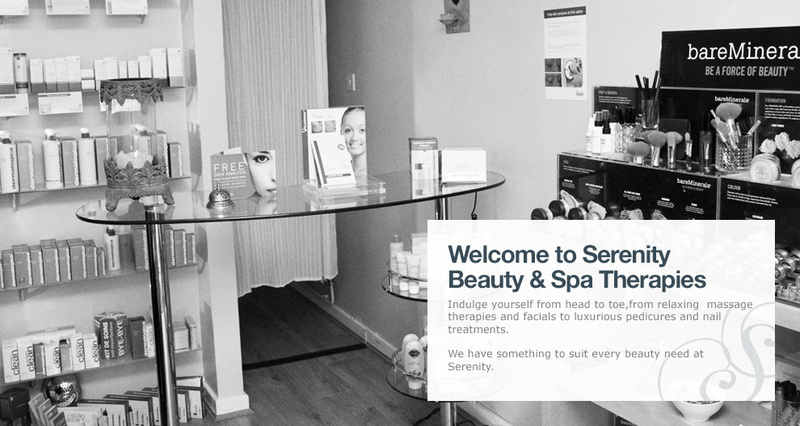 We can also offer our clients the most advanced and highly specialised treatments with our visiting clinincs. These clinics are available by appointments only. For further information please contact us on 01924 826333. 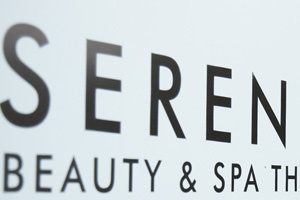 Serenity Gift Vouchers are available for treatments or a specific amount spend as little or as much as you like to treat that someone special. 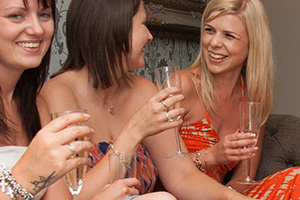 Our gift Vouchers can be redeemed against all treatments and retail products. 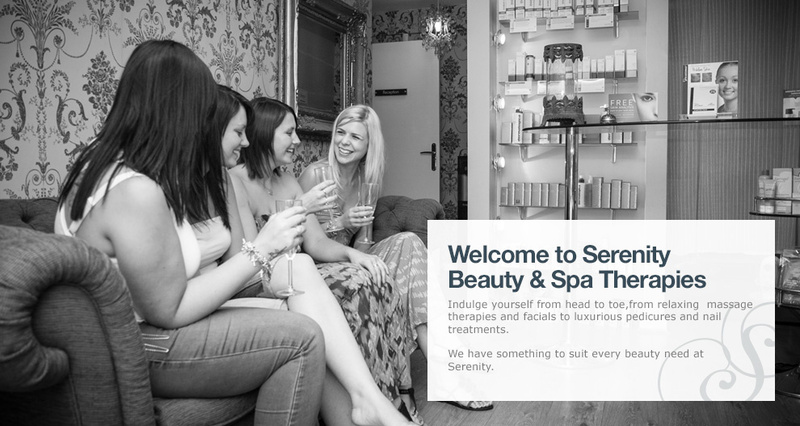 Read our clients feedback about their experience here at Serenity Beauty & Spa Therapies.